When times are tough and you need some extra cash in a hurry, getting yourself into debt is never a good idea. And while there are plenty of scams out there, there are a few creative ways that you can make a little extra money when you need it most, or just have a little extra money to put away towards savings each month. Let’s take a look at the some of the clever ways people are thinking outside the box when they need a little extra dosh! If something you paid good money for is lying around gathering dust, get rid of it! Exercise equipment, kitchen appliances you never use, outdated gold jewelry and even clothing are just some of the things that people will willingly purchase second-hand, putting cash in your pocket and de-cluttering your life all in one fell swoop! 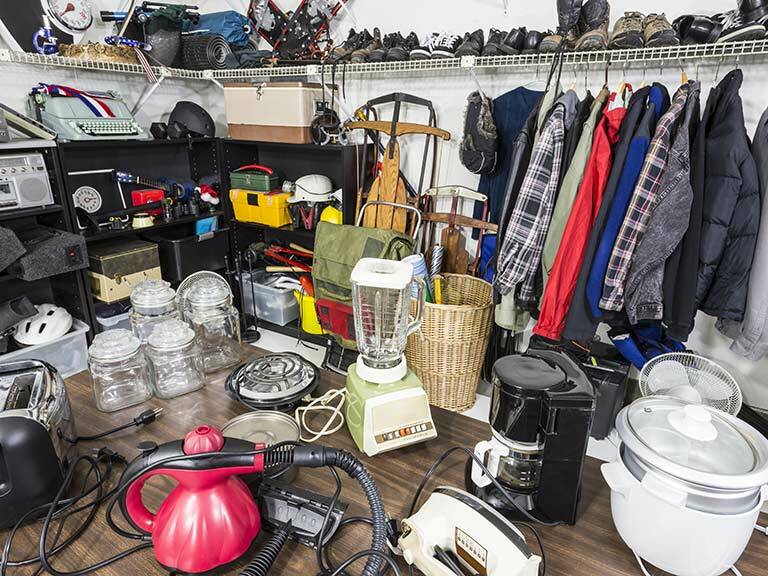 If you’ve got a lot of stuff that needs to go, consider hosting a car boot or garage sale. Even if you do need an item, consider downsizing – laptops and PCs are a great example. If you only use your PC for watching Netflix and replying to emails, then you don’t need the latest model with an amazing graphics card – but someone else might. It’s easy enough to buy a smaller model, sell your fancy equipment, and still come out with a nice profit. Nothing to sell? Offer to help friends and family get rid of their unused stuff in return for a small commission. If you’ve got a skill for carpentry, sewing or landscaping, put it to use! It’s easy enough to set up your own free website, or even just a Facebook page, and get your name out there in your community. Post to free classifieds websites and community pages – it won’t cost you anything, and if you’re lucky enough to get a few bites and start building a good reputation, then world of mouth advertising will often do the rest. It could be baby-, pet- or house-sitting, helping out in the garden, or even doing the weekly shop for an elderly couple – so use your imagination. If you have a talent for writing, graphic design, or even just transcribing interviews, then there are lots of opportunities to earn some money online. You might have to try a few options before you find the one that fits, but it certainly can’t hurt to have a good look! If you’ve got the time and dedication, you could even start your own blog where you sell products through an affiliate marketing channel, or advertising space if you build a big enough following. Whether it’s for a cash prize or a product giveaway, everyone loves free stuff! Try to focus on competitions that don’t cost anything to enter, so you have nothing to lose. Some payouts are just a bit too huge to pass by, so feel free to play mega millions online from time to time as long as you’re not putting yourself in financial jeopardy! Many companies do product giveaways when they launch a new line, and often entering is as easy as leaving a comment on their Facebook page, so keep your eyes open! If you win, it’s easy enough to sell off the brand new, unopened prize at a discount for a quick sale. If your bank balance isn’t earning interest for you, you’re saying no thank you to free income. Do some research and look for better options – there are plenty of accounts that offer a better interest rate but still let you have quick access to your funds when you need it. It might involve changing your bank or going into a branch to open a new account, but knowing that your money is making money just sitting there is a great feelin! There are lots of options you can consider depending on your needs – from a 7 day or 32 day notice account, to short or long-term fixed deposits which offer much more attractive interest rates than leaving your funds in your check account. Ideally, you want to have your money somewhere where it’s making inflation-beating returns, but these often require a substantial lump sum. Using these smaller savings vehicles lets you save up for that lump sum, and then your money can really start growing without you having to lift a finger!